Lil Peep's legacy continues to grow, as the late rapper's collaborative track with ILOVEMAKONNEN and Fall Out Boy, "I've Been Waiting," has been treated to a music video. The song arrived at the start of this year, and the video comes courtesy of directors Andrew Donoho and SUS BOY. It sees ILOVEMAKONNEN wearing a cape and playing piano in a magical forest, before he takes off in a hot air balloon. 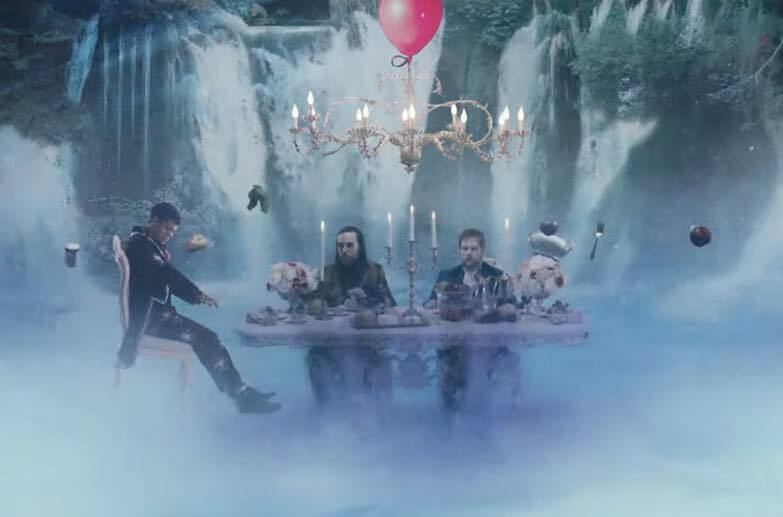 Fall Out Boy later appear in formalwear for a feast beneath a waterfall. "Peep wanted this video to bring people up into the clouds, into the fantastical world of his mind. Making it now, alongside Makonnen, is our way of visiting him again," SUS BOY said in a statement. Watch the whimsical video for "I've Been Waiting" below.